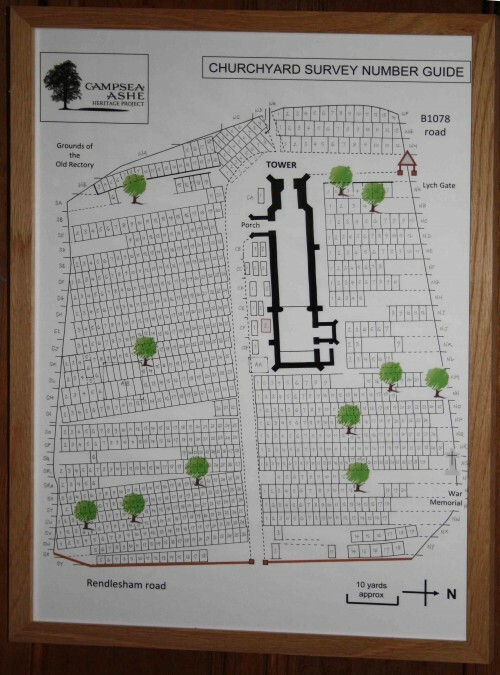 There are over 400 memorials in the Churchyard and in 2012 a member of the Heritage Group, Peter Carter, surveyed all of them and he has produced a burial plan with accompanying details of all the memorials. His excellent survey builds on the work of previous surveys in the 1950s and 1985-86. The burial plan is now hanging in the Church and visitors are encouraged to view it. Below is an alphabetical list of the memorials and in tribute to those who have passed away. Photos of many of the memorials are available on http://www.gravestonephotos.com/index.php. Inevitably there may be errors in this list and if so we apologise. If you spot any errors or omissions please let us know - use the contact form below. 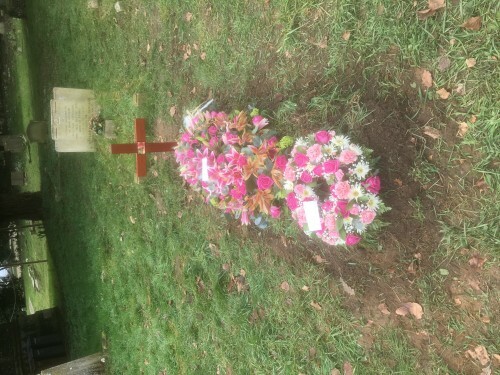 Brumwell Ruby Go Buried along with her husband, Walter, just outside the main entrance to the Church. Brumwell Walter 1949 Go Lived at White House and was a Churchwarden. Hembling Elsie May 2002 66 Go Elsie was married to Derek. Lived in Mill Lane. Worked at The Old Rectory. Hoey Kevin Peter 1983 Fiance of Sara Hayward, he died with his friend Jonny Western - in January - after they drowned (at night) on the River Deben. Woolnough George 1940 George and Hannah lived in The Pit and ran a shop.